Designers began with the idea of what would be considered fashionable and chic – defined by straight lines and square angles. As a result, the Absolute lives up to its name in size and convenience, while still offering some of the most sought-out, practical features you could have on a swimming pool. Leisure Pools wanted a design that was versatile with realistic expectations for use. The Absolute range has a large, open corridor and gradual slope that can accommodate a variety of activities, from the avid swimmer looking for an area to exercise and swim laps to the perfect arena for playing water games with family and friends. There is no feature more appealing than a built-in spa that integrates seamlessly into the overall pool design. The built-in spa has the option to either run off the pool filtration system or operate through a separate filtration system and heating unit. We even added some clever overflow channels with two spillover ledges, through which water cascades into the pool, creating a beautiful waterfall effect.There was only one feature left to add to ensure this pool reached its absolute potential – a large, shallow splash deck on which to lounge in the sun or play with the little ones. 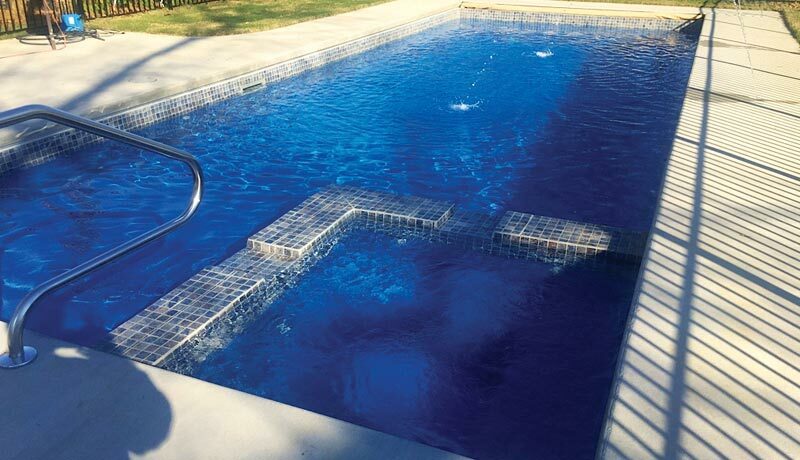 These ledges are one of the most popular innovations trending in the swimming pool industry today. 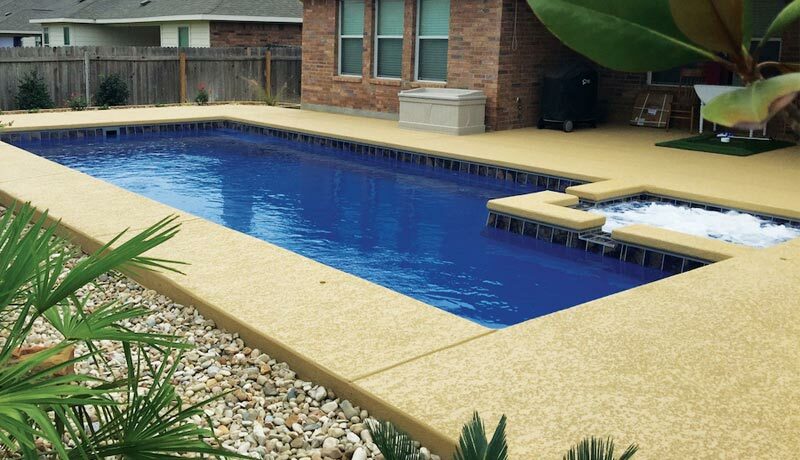 Leisure Pools is absolutely certain that this pool will be the perfect addition to your backyard.